The exterior of your house needs as much attention as its interior and not just from the aesthetic point of view. When working on your house, you need to consider the type of siding you will use because many things depend on this choice. If the siding is not installed correctly or sub-quality materials are used, it can result in lots of problems in the long term. Gut-R-Dun is a professional company specialized in exterior services that values quality and professionalism above everything else. We are dedicated to offering you the best siding options for your house so that you may benefit many years to come from the excellent work we provide. 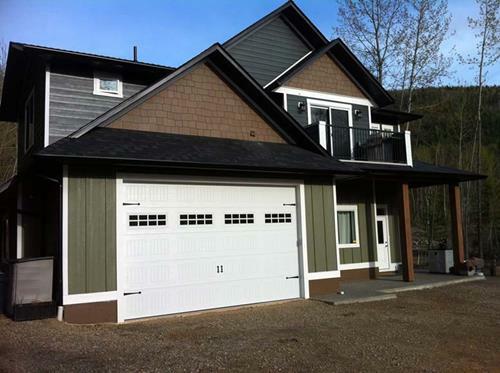 Cement board siding or Hardiplank is a siding material made of cement, sand and wood fiber. This type of material was designed to withstand even in the most humid regions because it doesn’t rot. One of Hardiplank’s significant advantages is that is usually comes with a 50 year warranty and it resists not only insects and rot, but also salt spray from the ocean. Being 90% made of cement and sand, Hardiplank also has a very high resistance to fire, and it can withstand serious storms without as much as a scratch. Cement board siding also comes in a great variety of colors and patterns, so that you can choose the beautiful style that perfectly fits your tastes. At Gut-R-Dun, we have specialized in exterior services and our vast knowledge makes us the ideal company you want to work with if you are planning to use Hardiplank for your house’s siding. Unlike other siding options, cement board is not as easy to install unless you work with professionals. We are committed to our field of work, and we have become experts in Hardiplank because we see the tremendous benefits this building material brings to your house. We work only with premium suppliers, like James Hardie and Certainteed to deliver high-quality work to your house. We are dedicated to quality, attentions to details, beauty, and durability. Offer your house the best possible treatment by choosing to work with us.